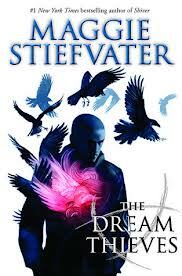 The Dream Thieves is the second in the Raven Cycle and, following on the heels of the first, The Raven Boys, there is no question that Stiefvater keeps her audience enthralled from beginning to end. The plot moves along quickly and unpredictably, keeping readers on their toes. Readers jumping into this series will have to remain patient as book 3 has not been released. Patience, dear readers, patience. It will be worth it.